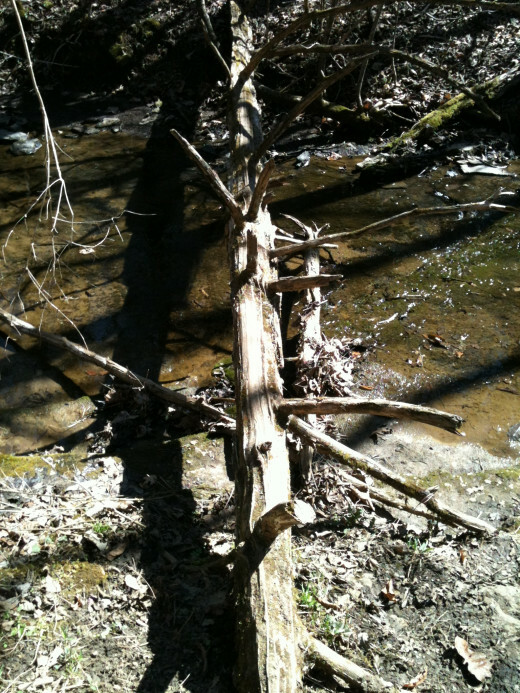 Raven Run Nature Sanctuary: Affordable-to-Free Family Fun for Spring Break. Raven Run Nature Sanctuary is a great place to get out in nature, bond with family or get in some hang time with friends. 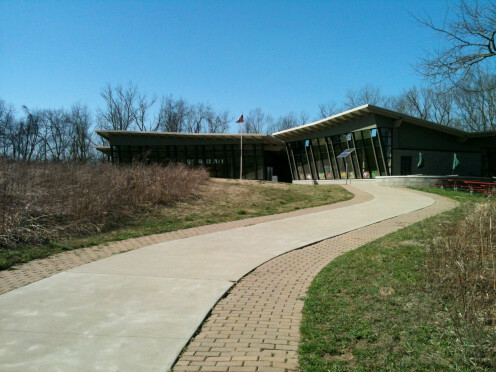 The park is located at 3990 Raven Run Way in Lexington, KY 40515 and consists of 7 walking or hiking trails as well as a Nature Center where visitors can learn about different animals and collections. You may even get to play a game of chess in the center while you visit upon request. Before taking off on your trail, you may want to use the restroom at the Nature Center as well as perhaps fill up a water bottle given that the fountains are in proper working condition. The 7 trails are color coded and most of them connect at some point along the trail. My personal favorite is the red and white trail as they lead to the Overlook where hikers can enjoy a view overlooking the Kentucky River. The Overlook is a good spot to sit and give your mind and body a rest. There are several rivers and tiny waterfalls to entertain the senses as you travel through the trees. Right now there are parts of the trail that seem recently cared for with new mulch areas in the path leading to the real terrain, however the further you go, some parts are worse than others I'm guessing due to the heavy snow fall we saw this year in Kentucky. 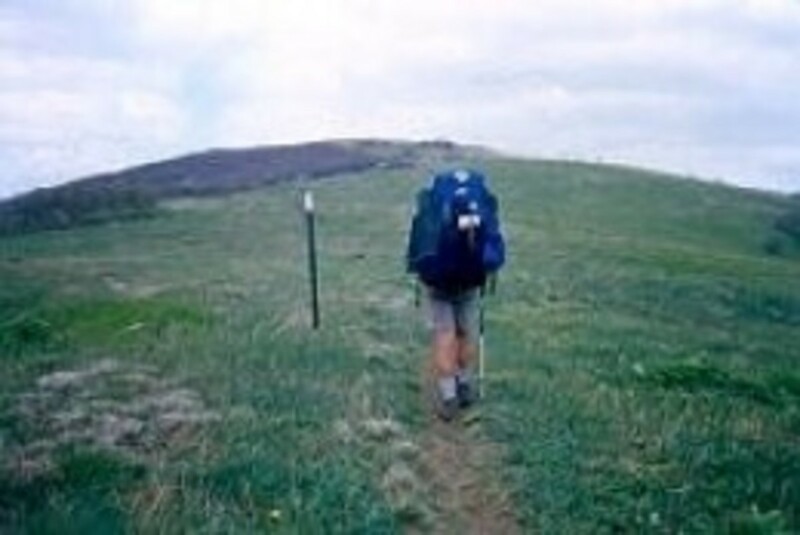 Still, the park's walks are safe to you and your companion travelors so long as you wear good shoes, a requirement for using the trails, and given that you can maintain a decent amount of balance. 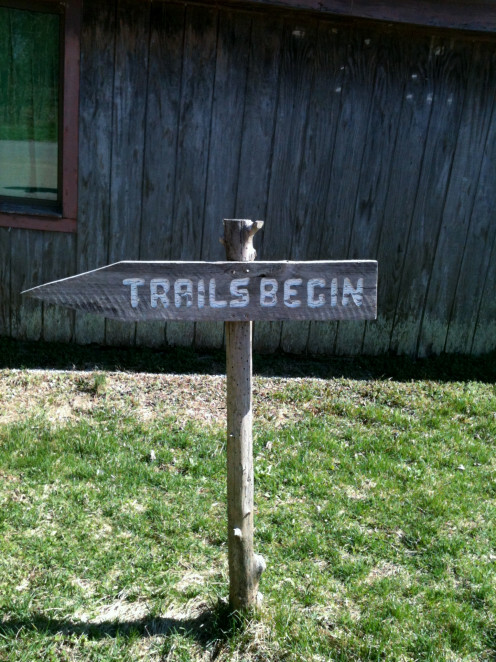 The trails differ in range of difficulty and if you are looking for a nice stroll without getting much exercise at all, I would recommend the Freedom Trail which is just off to the right near the parking lot before you even walk the concrete sidewalk to the Nature Center. 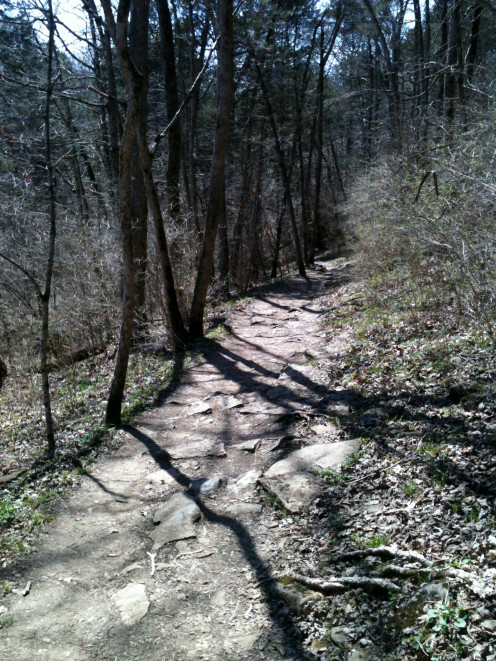 There are some benches along this path where you may get to have a good view of some birds or butterflies in the area. 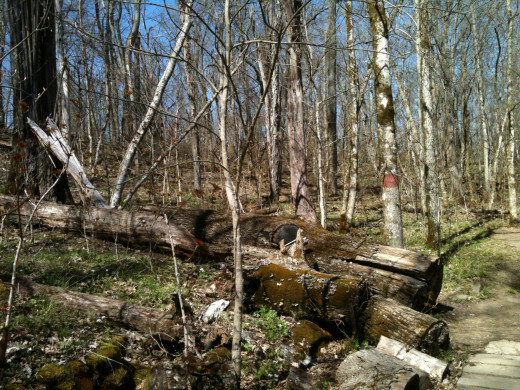 The other trails also have a few benches scattered as well as the random fallen tree log that visitors can use to stop and take breather. Signing in at the Nature Center. This is so the park staff know can regulate your whereabouts for your safety. Bicycles need to stay at home. Don't start or build any fires. Leave what is growing on the trails alone. The park staff work very hard to maintain its beauty so that you and others can enjoy the scenery together. Be off the trails 30 minutes before closing or you could face citations or trespassing charges. The trails open at 9:00AM and they close at 4:30pm with the main road gate locking at 5:00pm. You can not wade in the creeks. No picnicking anywhere outside their designated areas. These areas are at the Nature Center and near the parking lot. A list of these guidelines can be found on the back of Raven Run's Trail Map provided to visitors upon signing in, as well as on their online website, along with other information, at http://www.lexingtonky.gov/index.aspx?page=276. If you and your family are not traveling this school year's Spring Break and are looking for affordable-to-free, fun family things to do, be sure to check it out. It's a way to build relationships, get the kids out of the house, and off the Xbox. Happy hiking!